The third semester of The Black Museum lecture series is set to begin later this month. Toronto's premier horror lecture series has evolved some over the past year and the current line-up branches out from film to include video games and costumes. Read on to find out what topics will be covered this fall. film titles to the emergence of survival horror, which came to define the genre with titles such as Resident Evil and Silent Hill creating narratives that influenced the film industry in turn. 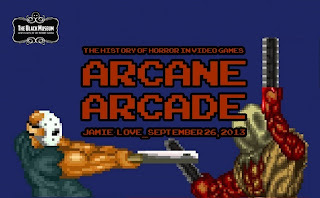 The aftermath of survival horror will also be discussed, as well as the hybrid action horror titles of recent years, releases working to increase the psychological act of play, and the rise of indie programmers creating compelling horror experiences outside the major studio system. During the late sixties and early seventies the giallo rapidly evolved into a highly stylized form of storytelling where images and sounds supported elaborately rendered murder sequences. Plots tended to be incomprehensible or downright bizarre, and the various directors often built their scenarios around murders which were heavily driven by music and images. Composers from various venues would bring jazz, lounge, orchestral writing, rock, and experimental techniques, sometimes as slight hybrids, or in the hands of Ennio Morricone, as radical fusions. 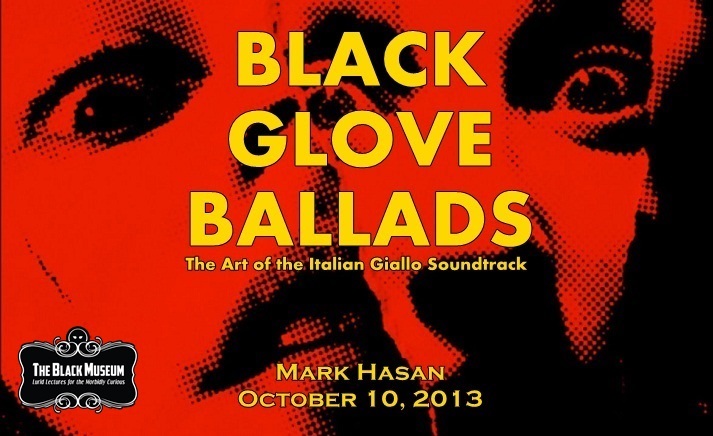 This lecture will examine a chronology of musical innovation within the giallo using music montages, scene and interview extracts, and a healthy sense of humour for this endearingly insane genre. 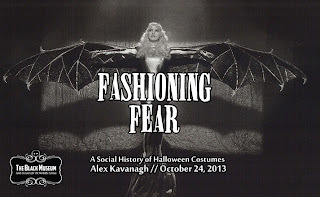 Horror film costume designer Alex Kavanagh will take the audience through the history of Halloween focusing on the popular symbolism surrounding Halloween costumes and how they have been modified and transformed by the entertainment industry. This lecture will discuss how costumes have become the most revealing snapshot of modern western society via photos, film clips and a costume display. 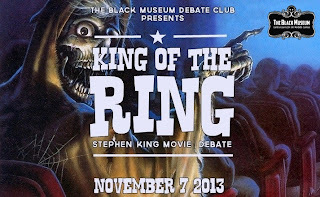 This is a brand new Black Museum event in which teams of horror fans and professionals get a chance to fight, feud and fuss on a particularly contentious area of horror filmmaking. 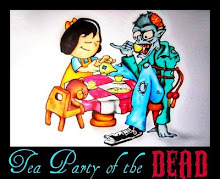 For the Debate Club’s debut meeting, four teams will square off on a question that’s hounded horror buffs for years: Which is the best horror film based on a story or novel by Stephen King? 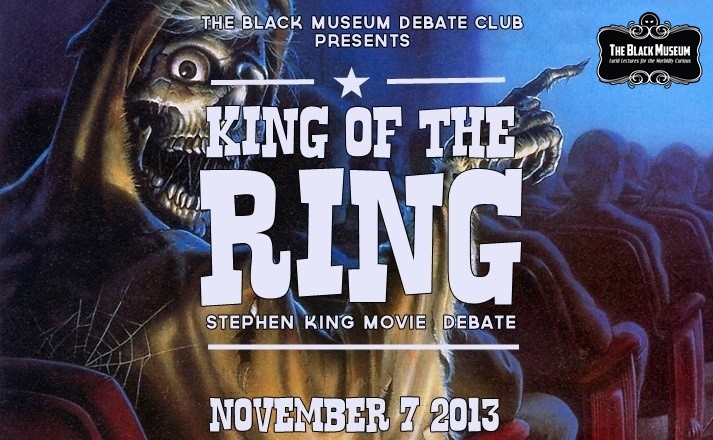 Profiling four of the most well-known King adaptations, each team will get a chance to defend their choices, show off convincing film clips, and engage in a little Stephen King trivia to win over the judge and audience and take home the coveted Golden Tentacle trophy. 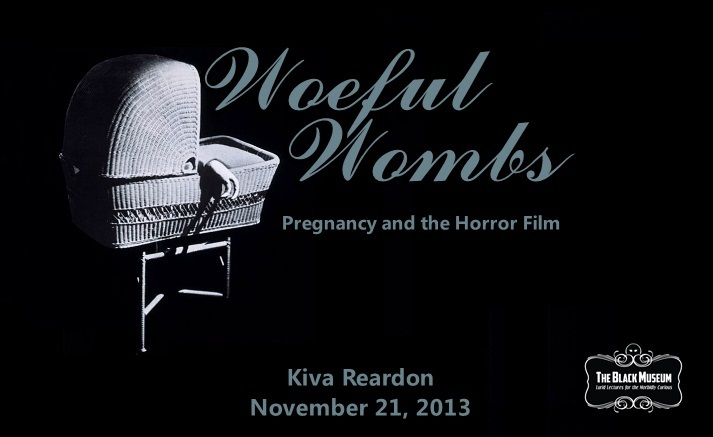 Many horror films are read as having a reactionary view of women, reducing them to monstrous mothers or abject incubators for terrifying beings. But are these representations of pregnancy always cut and dry? What can be gained from debasing pregnancy? 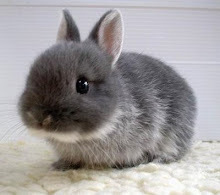 And what does it say about how we view (or cherish or revile) this biological process? 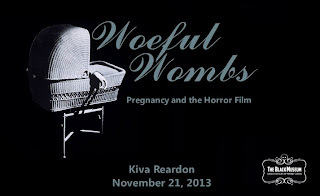 Looking at how this “horrific” body has morphed on screen, this lecture will look at the likes of Rosemary’s Baby (1968), The Fly (1986), Aliens 3 (1992), A l’interieur (2007), and yes, Twilight (2011) in the hopes of giving birth to some answers. As always, lectures will be held at Big Picture Cinema on Gerrard (formerly The Projection Booth East). Big Picture's causal setting creates a inviting, intimate atmosphere perfect for the academic exploration of the horror genre. There will be door prizes. And beer.